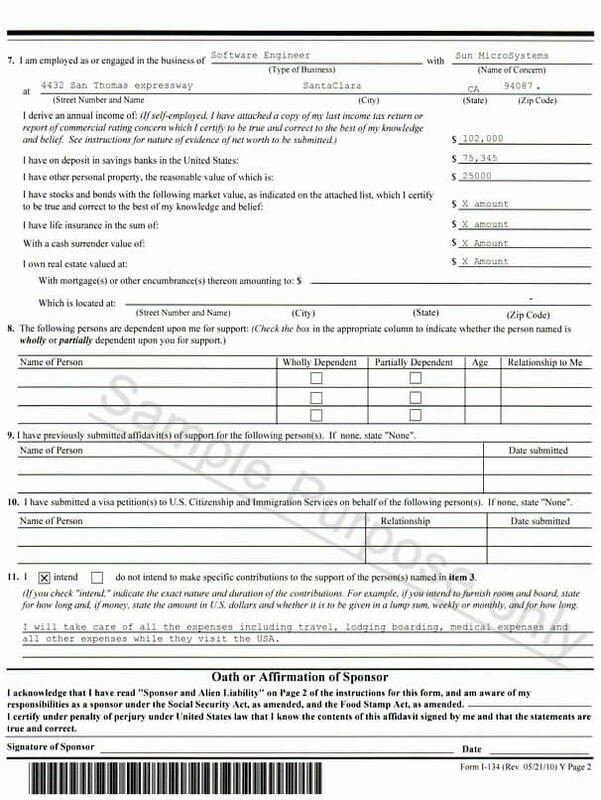 Sample affidavit of support form, also known as us visa sponsor form (USCIS form I-134). 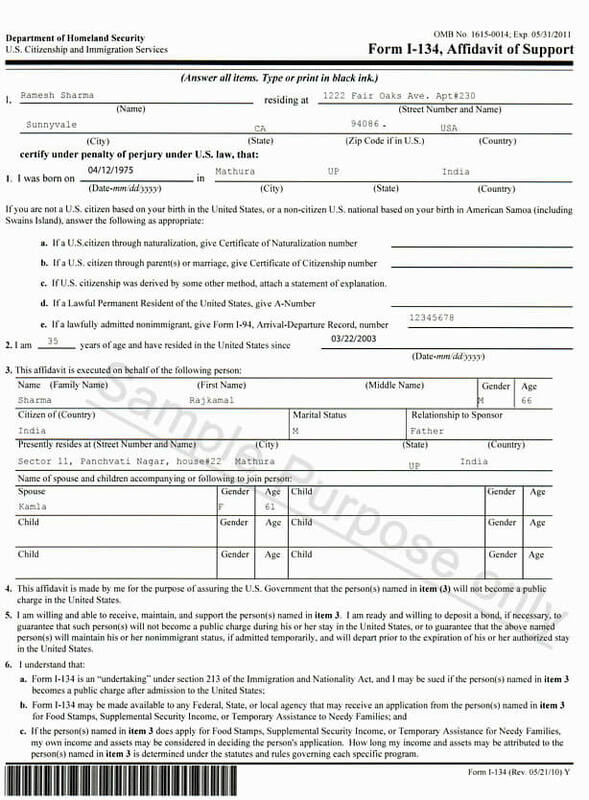 Following is an affidavit sample that can be used as an affidavit template. Form I-134 is an affidavit of support statement form that should be completed and provided by the person sponsoring the US visitor visa or tourist visa for a foreign person seeking a visitor visa or tourist visa to USA. This sample is for reference purpose only. You must download form I-134 and complete the form with correct and applicable information. See Instruction to fill form I-134. The affidavit of support is a legal contract between you I the sponsor of visitor visa) and the US Government. It ensures that the visa applicant has adequate means of financial support and is unlikely to become a public charge after entering the US. See complete step-by-step guide to US visitor visa.